At Travel Beyond, we believe your trip should be designed just for you, not for the masses. Our travel consultants create a custom itinerary for each client, offering recommendations for places and experiences that best fit your style. 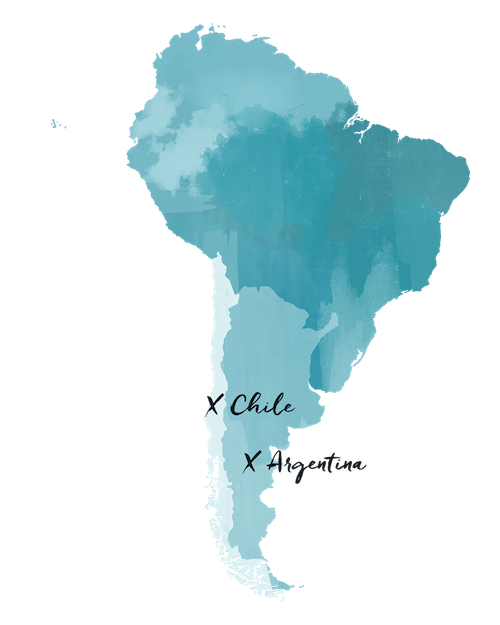 The itinerary below was planned for a past client, but we’re sharing it for travel inspiration and as an example of what a trip to Patagonia might look like. Let us know when we can design a trip just for you! Welcome to Argentina! Upon arrival in Buenos Aires, you will be met by a Travel Beyond representative for your private transfer to the Algodon Mansion where you will stay for one night. Later, you will begin your half-day Four Balconies of Buenos Aires city tour. This tour offers a first approach to the city and is a perfect introduction to Argentina, its history, contrast, contradictions and the characteristic psychology of the “porteños,” and its inhabitants. Visit the areas of Plaza de Mayo, La Boca, San Telmo and Recoleta. Following your tour, you will be transferred back to Algodon Mansion. Enjoy the remainder of your day at leisure. This morning after breakfast and checkout, you will be met by a Travel Beyond representative for your private transfer to Buenos Aires Airport for your flight to Trelew. Upon arrival in Trelew, you will be met by a Travel Beyond representative for your private transfer to Estancia Rincon Chico where you will stay for three nights, including all meals. During your visit, choose from activities offered at or around the lodge related to your interests, many of which are included with your stay. Enjoy the remainder of your day at leisure to explore the area. Dinner will be served at the lodge. Enjoy your days at leisure to discover marine Patagonia and participate in activities on offer at Rincon Chico. During your stay, you will have the opportunity to enjoy the natural beauty, flora, and varied wildlife of the ranch. In this area, you have the chance to see elephant seals, sea lions, southern right whales, orcas, dolphins, guanacos, grey fox, armadillo, a host of land and sea birds, and even perhaps the elusive puma. Other activities include wildlife tours (guided by biologists and professional naturalists), visits to the various beaches of the property, horseback riding across the steppe and cliffs, hiking trails, mountain biking, interpretation of native flora, bird watching, livestock facility tours, astronomical interpretation talks and walks in the dunes fields. Today after breakfast and checkout, you will be met by a Travel Beyond representative for your private transfer to the Trelew Airport in time for your commercial flight to Buenos Aires. Upon arrival in Buenos Aires, you will make your way to your connecting commercial flight to El Calafate. Upon arrival in El Calafate, you will be met by a Travel Beyond representative for your private transfer to EOLO Hotel where you will stay for three nights, including all meals. Enjoy the remainder of your day at leisure to enjoy the activities on offer at the lodge. Today after breakfast, you will be met by a Travel Beyond representative for your full day Perito Moreno Glacier Tour, including a visit to the Glaciarium and lunch. Perito Moreno Glacier is Los Glaciares National Park’s most famous and imposing resident, stretching three miles wide and 200 feet high above Lake Argentino. From your cruise vessel, voyage across the late and toward the mighty glacier. Listen for the eerie creaks and groans while the ice moves and transforms in front of you. End with a visit to the Glaciarium, an interactive museum including hands-on displays to touch and feel. Your increased understanding will allow for even greater enjoyment of your time spent in Patagonia. Following your tour, you will be transferred back to EOLO. Enjoy the remainder of your day at leisure. Today after breakfast, you will be met by a Travel Beyond representative for your full day visit to Estancia Cristina, including lunch. 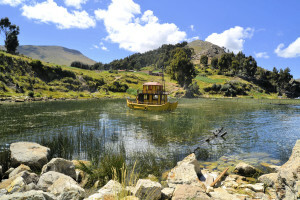 Journey to Puerto Bandera, where you will gently navigate the lake on a panoramic catamaran. Cruise along icebergs, with stunning views of the Upsala Glacier, as you make your way to Estancia Cristina, a landmark in the history of Patagonia and glacier explorations. Transfer from catamaran to 4WD vehicle as you travel through the beautiful surroundings. Arrive at the Upsala Glacier lookout point for a unique opportunity to view the glacier from above. After making the descent, enjoy an afternoon of sightseeing in this magical area. This morning after breakfast and checkout, you will be met by a Travel Beyond representative for your private transfer to Cerro Castillo, on the Chilean border. Here you will be transferred to Torres del Paine and the Explora Patagonia lodge where you will stay for three nights in a Cordillera Paine Room, including all meals. Enjoy the remainder of your day at leisure. Torres del Paine is the crown jewel of Chilean Pagatagonia. The park is home to some of the most dramatic mountain scenery on the planet, replete with alpine lakes, waterfalls, glaciers, and wildlife. Explora Patagonia offers more than 40 explorations that cover all areas of the park on either foot, horseback or van. Explorations are always led by English speaking expert guides and take place in groups of no more than eight travelers. Each evening, the guides share the available activities for the next day and assist in choosing the best options according to your interests and abilities. Today you will say goodbye to Explora and transfer The Singular Patagonia in the town of Puerto Natales. 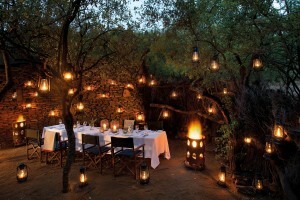 You will stay for one night in a Singular Room, including all meals. Originally a historic Patagonian cold storage facility, the iconic plant has been repurposed into The Singluar Patagonia, one of the most unique hotels in the area. The traditional industrial architecture connects you to the history of Patagonia, while your beautiful accommodations ensure your every comfort. Just outside the windows are gardens, fjords, and Last Hope Sound. Surely this will be an amazing finale to your exploration of Patagonia. This afternoon, meet the hotel guides, who will share with you the available half-day activities included with your stay. Activities are shared with other hotel guests, in the company of an English-speaking guide. This morning after breakfast and checkout, you will be transferred to the Punta Arenas airport for your flight to Santiago. Upon arrival in Santiago, you will be met by a Travel Beyond representative for your private transfer to the Lastarria Boutique Hotel where you will stay for one night. Enjoy the remainder of your day at leisure. Today after breakfast and checkout, you are free to enjoy Santiago on your own. This afternoon you will be met by a Travel Beyond representative for your private transfer to the Santiago Airport for your commercial flight home.